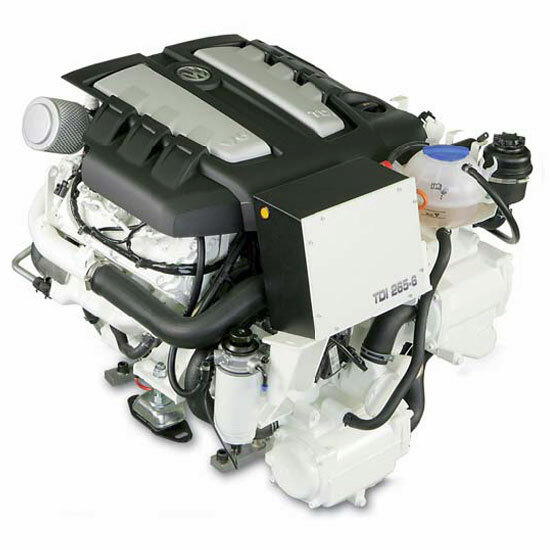 Boat owners must weigh the advantages and disadvantages of switching their engines from gas to diesel. 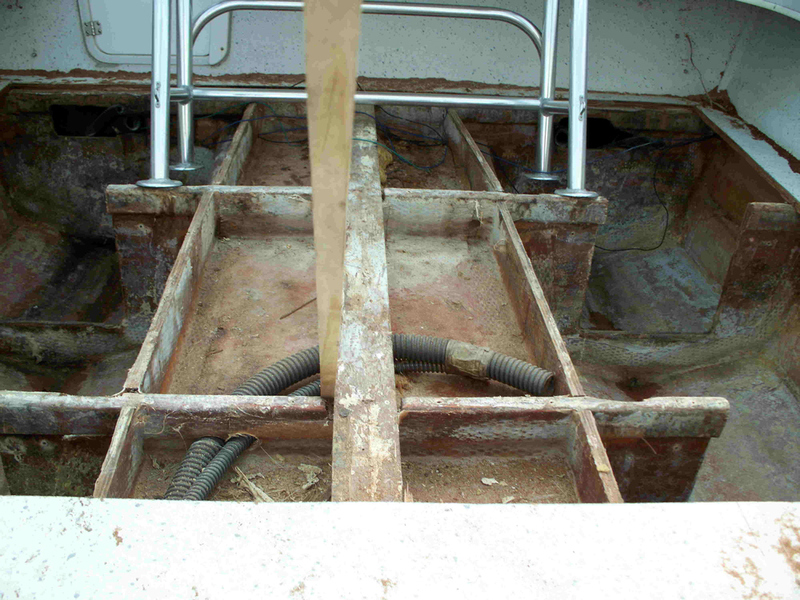 Any marine surveyor can tell you he or she has seen plenty of boats that made the switch from gas to diesel engines. Diesels are superior in many ways, ranging from reliability to fuel efficiency. So when Jim Curley, the owner of a New Jersey Pontiac and GMC Truck dealership, picked up a Bertram 31, Curley's main objective was to replace the existing 454-cubic-inch gas blocks with a pair of four-cylinder diesels. 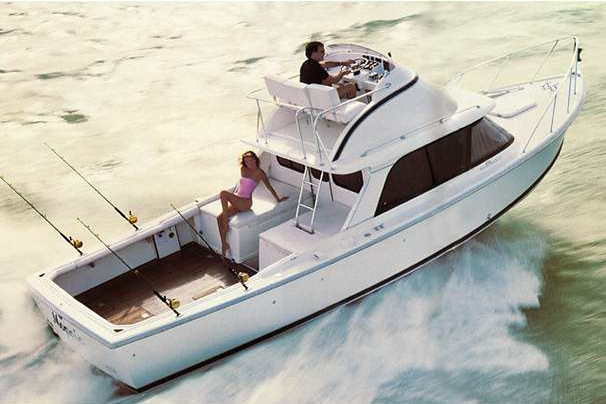 He considers the Bertram 31 "a collector's item," the marine equivalent of a 1963 split-window Corvette. He knew diesels were needed in order to provide the range he wanted to fish the offshore canyons. Safety and performance were other priorities. He originally repowered the boat with a pair of Yanmar four-cylinder 170s, then a pair of Yanmar four-cylinder 230s upon the debut of that model. Curley ran the boat for roughly two seasons and was so pleased with the diesel conversions that he's thinking about refurbishing another Bertram 31 for a friend and duplicating the power setup. 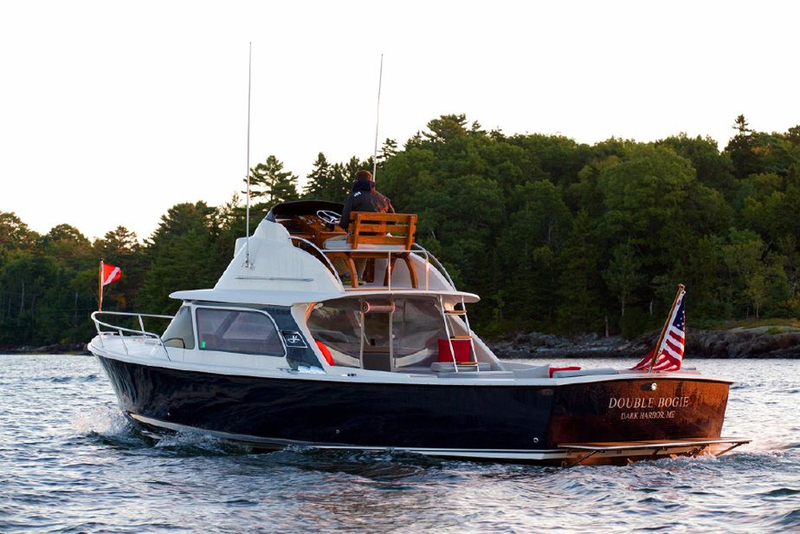 Many Bertram 31s, like this 1963 model, have been fully restored and rebuilt. Often this process includes switching from gas to diesel. Gasoline blocks do have some distinct advantages, including lower price, higher rpm ranges, and possibly higher top-end speeds. But diesels have longevity and dependability on their side. They're miserly on fuel and virtually fire-proof, since the threat of a gasoline leak or fumes accumulating in the bilge is eliminated. The big question among those in the repowering market, however, is the feasibility of such a conversion. Is it affordable? 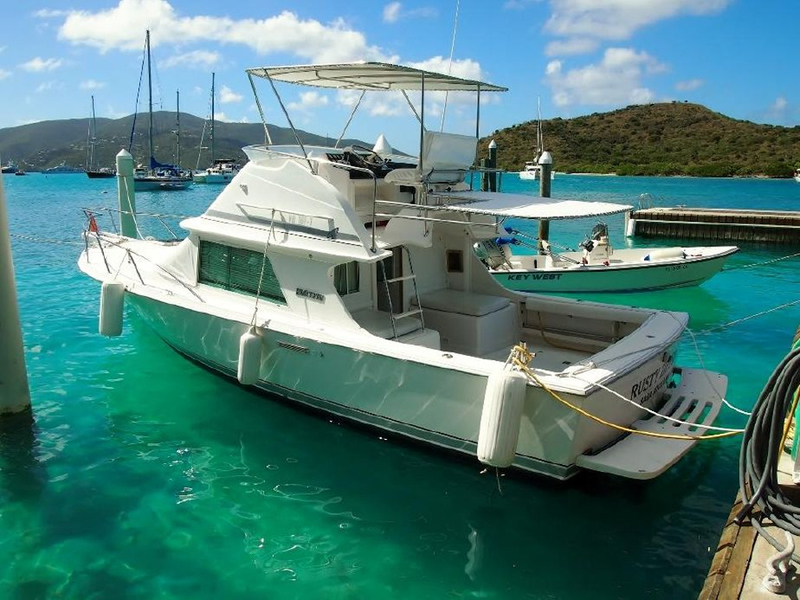 Will the boat's resale value increase? The good news is that modern diesel technology actually simplifies such an undertaking. 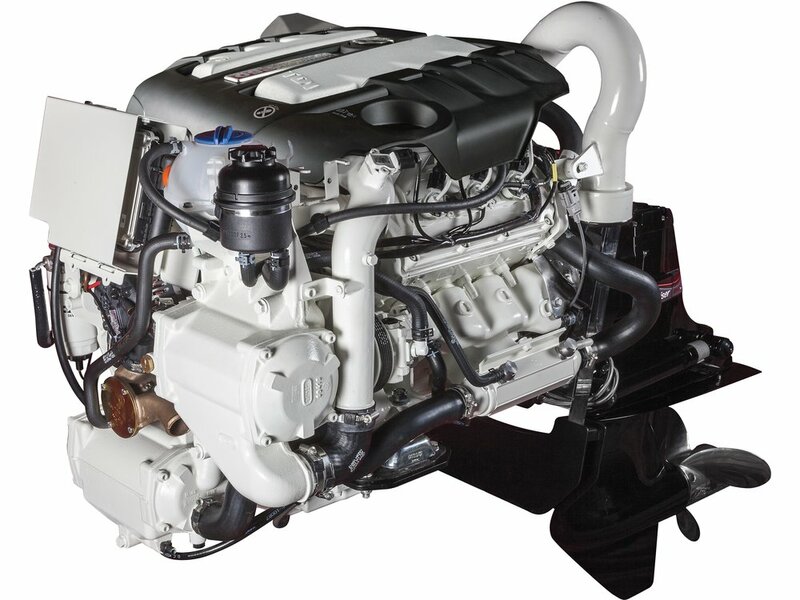 Manufacturers such as Yanmar, Mercury, Volvo Penta, and Perkins all market diesels that will replace many gasoline engines with a minimum of modifications. For instance, Yanmar's 4LV230 is a strong, light-weight, 230-horsepower, in-line four-cylinder, turbocharged and intercooled diesel that measures 30” tall by 29” wide by 45” long. At 846 pounds per engine (with gear) it's a good replacement for the engines in Jim Curley's boat. "Being in the automotive business, I've established good relationships with many diesel companies," says Curley. 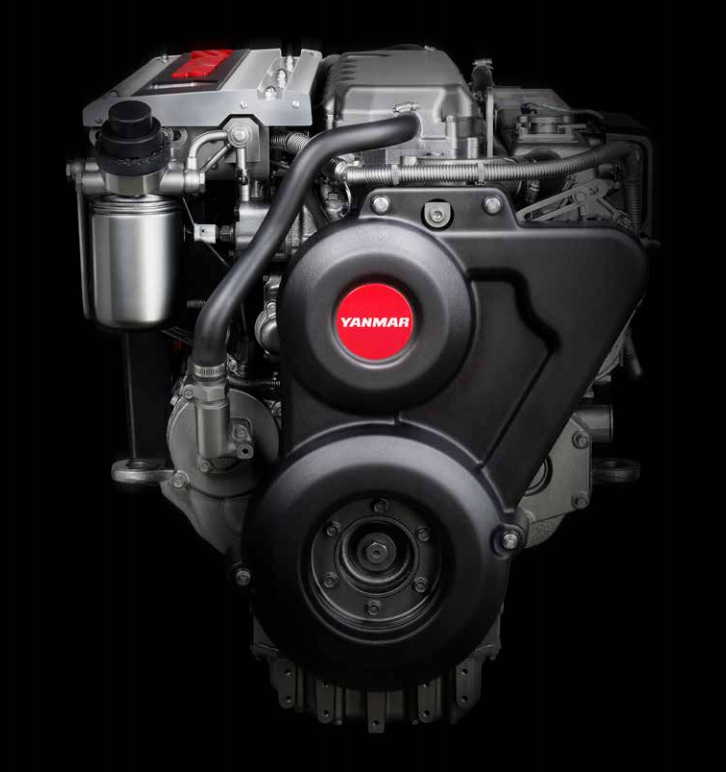 "I could have had any diesel engine for my boat, but I chose Yanmars because they're strictly marine engines with a recommended maximum operating cap of 3800 rpm, whereas many diesels have a 2800 rpm maximum. 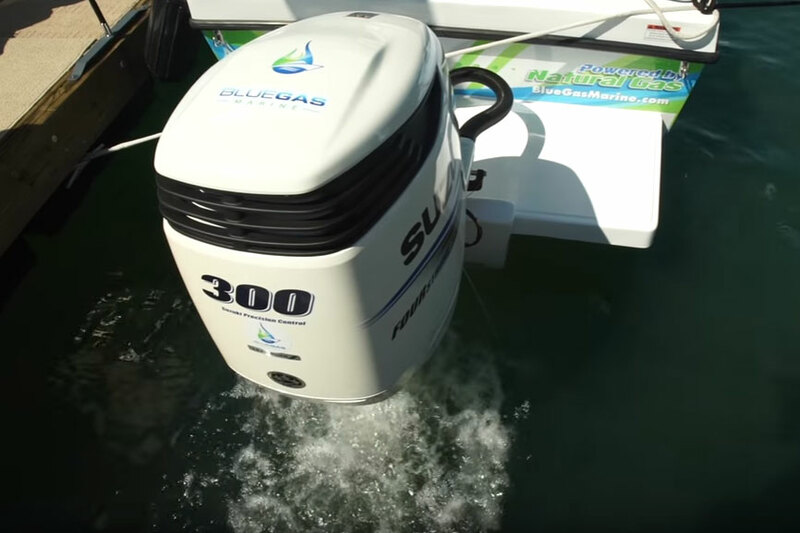 The ability to operate at a higher rpm is one benefit of a gas-powered boat. I generally ran my (previous) Yanmars, at 100 RPM off the pins all day and it didn't seem to hurt them. They're designed to run at that level. I enjoyed superb performance and a power curve that was very similar to a gasoline setup. And they were very easy and economical to install." 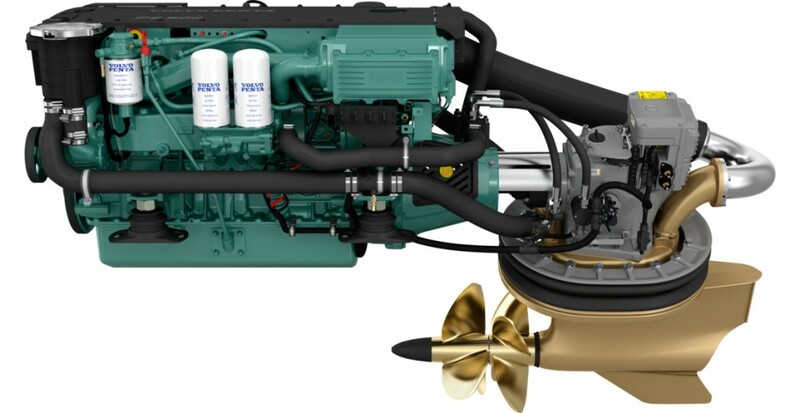 Yanmar offers a number of in-line-four diesels that are excellent replacements for a number of gasoline inboards. 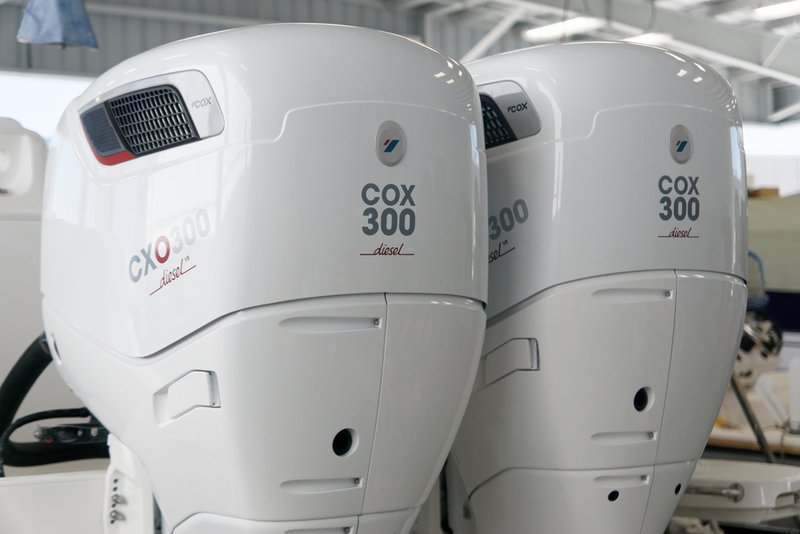 According to service experts of Fort Lauderdale's Cable Marine, a major marine service facility specializing in everything from bottom painting to yacht restoration, gas-to-diesel repowering isn't for everyone. He explained that such a job is most attractive to those who own a vessel that warrants a high resale value — similar to Curley's Bertram 31 — or for someone who loves a particular type of boat, intends to keep it for a long time, and want to increase its overall efficiency. He doesn't recommend the project for short-term interests because the owner isn't likely to get his money back on the sale of the vessel unless it's a high-demand model. Also, gas-to-diesel repowering can easily prove cost-prohibitive if considerable alterations are required. In that case, it's more cost-efficient to purchase a brand-new diesel-powered boat. When major modifications to structural parts like stringers and bulkheads becomes necessary, the costs of switching from gas to diesel can be expected to rise rapidly. "Our first goal is to find out what the customer wants to achieve,” he continued. “Economy, or increased performance and speed. If he's interested in economy, the diesels available today should provide a smooth and cost-effective transition. If He's seeking the increased power and speed of inline six-cylinder diesels, that will likely require a lot of costly modifications. Such a move could very well be cost-prohibitive." The service expert sees economy as the main driving force behind most repowering jobs on mid-sized vessels. "When you consider the relative ease of repowering and how a properly outfitted and fine-tuned diesel may give you a higher cruising speed over a gasoline engine and a comparable top-end speed — while in many cases burning significantly less fuel — it's little wonder that these compact diesels are becoming so popular." Next, they decide on which engines will replace the existing power with the least amount of work. He stresses that the engine should fit into the compartment with a minimum of modifications to the stringers, bulkhead, and engine hatches. He also strives to use as many of the existing components as possible, including running gear and props, and throttle and transmission cables. Cable Marine's experiences with Yanmars have been very favorable. 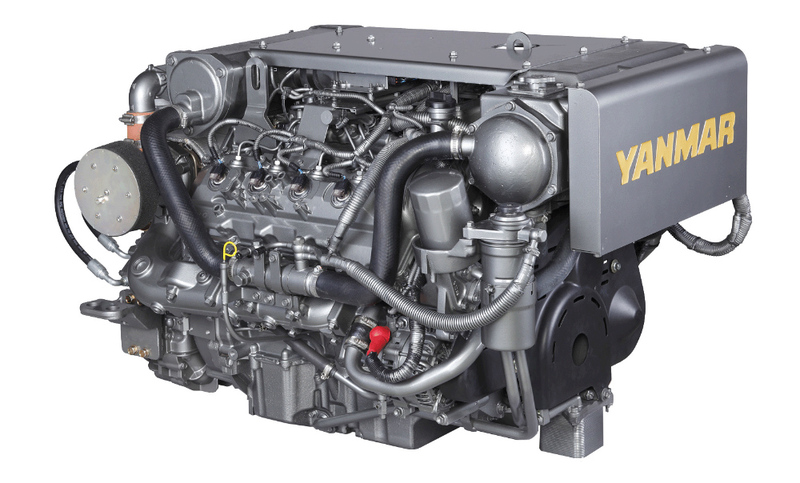 "The four-cylinder Yanmar is designed to fit easily into most big-block gas engine compartments," says Hasselman. "Considering that a 454-cubic-inch gas engine has a four-inch diameter exhaust outlet, there's no problem using the existing system. And because the Yanmar has a small raw-water pickup and shafting, there's generally no problem using the existing raw-water inlet and transmissions, either. We can generally use the same batteries, lugs, terminals and cables that came with the gas engines, too." Richard Mastry of Mastry Engine Center in St. Petersburg, Fla., confirms the compatibility of some of these engines. "We try to use all the underwater gear," says Mastry, "and are successful in about 80 percent of the vessels we repower. The other 20 percent require an upgrade. Provided the engines we're replacing are recent models, we try to use the same transmissions and even the same props after adding some pitch and cup. A twin 454 gas-engine application peaks at 4400 rpm, with a recommended cruising rpm of 3200 with 18” by 17” props. With a pair of four-cylinder Yanmar diesels, for example, we may upgrade to 18” by 19” props and add a little extra cup to prevent slippage. That's typical on boats like the Tiara 31, or the Blackfin 29. We can generally expect to gain between two and five miles per hour at cruising speed with the diesels at the same RPM the gas engines were turning. The gas engines would each burn and average of 15 gallons per hour, while the diesels each consume under 10 gallons per hours. Needless to say, there aren't usually any problems with prop clearance." The Blackfin 29 is another boat that often benefits from switching from gas to diesel. Having gone through the repowering process with the aid of Richard Mastry and Mack Boring in Union, New Jersey, Jim Curley claims it was "the easiest thing we ever did." He admits that in order to secure the engines they did have to cut down the wood engine beds on the stringers and epoxy their tops with a West System prior to aligning and fastening the engine mounts. He also switched to a pair of 19” by 24” four-blade props — which required new shafts — to enhance his mid- and upper-range cruising speeds, and added trolling valves. 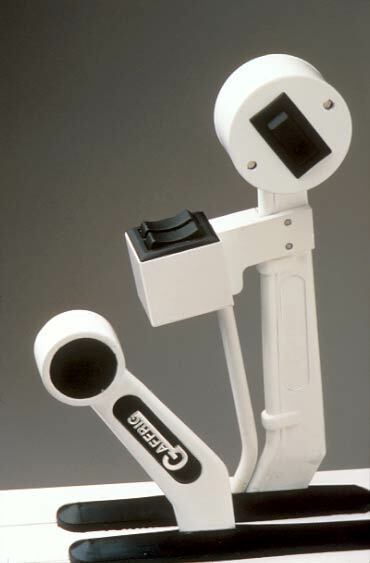 Everything else, however, basically tapped into the existing components. Switching from the Yanmar 170s to the Yanmar 230s required nothing more than upgrading to stronger engine mounts. Service experts says there are certain modifications required on all gas-to-diesel repowering jobs. Major items include the fuel tank, which must be pumped and flushed of gasoline and then re-plumbed with return lines; the addition of Racor fuel separators; a possible upgrade to larger batteries and related hardware; a new fuel-fill cap that reads "diesel" instead of "gas"; and new tachometers that are compatible with diesels as well as new hours meters to keep track of the new engines. In most cases, Cable Marine tries to use the existing gauges by adapting the gas engines' existing senders to the diesels. It'll also use the vessel's existing wiring harness, which leads to the gauges, instead of the modular harness that comes with new diesels. That's because using the new panel and harness requires a lot of cutting and mounting, which would definitely inflate expenses. As mentioned, those looking to replace V-8 gas engines with longer and often heavier in-line six-cylinder diesels aren't likely to have it as easy, or as cost-efficient. "For starters, you don't want to do this to a vessel that doesn't have a very big resale value," says the expert. "The amount of work really depends on the vessel and what it will take to accommodate the larger engines. For example, let's say we want to replace a 454 gas engine with a diesel engine that has five-inch or six-inch exhaust requirements. Well, the four-inch exhaust pattern of the 454 gas engine isn't going to cut it. Going with a larger diameter exhaust system often involves removing the deck, cutting, refitting, end even some glass work. The exhaust modifications alone will run thousands of dollars. Then it's likely that all running gear would have to be changed. And then we have the battery upgrade, since these bigger diesels require bigger batteries to turn them over. The job may even require the fabrication of brackets and modifications to stringers and frames. So, it's pretty easy to understand where the pitfalls lie with gas-to-diesel repowering. Curley invested less than $40,000 in his repowering quest, which included new props and shafts. He basically renewed the power, value, and desirability of a classic vessel. With the 170 Yanmars, his Bertram cruised at 23.5 knots. That speed increased to around 26 knots with the Yanmar 230s. To say he was thrilled with his diesel repowering decision would be an understatement. "I'd cruise to the Hudson Canyon, stay overnight, run a generator, then troll the next day," claims Curley. "I'd average around 190 nautical miles and burn only 115 gallons of fuel. The boat holds 215 gallons, so I'd almost have enough fuel in reserve to do it all over again. The boat performed smoothly, with absolutely no vibration at low speeds. I'm getting ready to refurbish another Bertram 31 and it will also have Yanmars. It's the ideal application for this boat." Equipped with Yanmar diesels, a Bertram 31 has the fuel capacity and range for canyon fishing – and then some. If you're thinking about repowering with diesels, Curley advises talking with someone who has already done it. "Don't listen to only one manufacturer” says Curley. "Look at everybody's product and learn what's involved, including all the costs, and don't close your eyes to new technology. Decide what's right for you. Finally, make sure you have good product support, and that parts can be readily obtained for your diesels. That will prove very important in the long run." Editor’s Note: This article was originally published in January 2001 and updated in May 2018.